In addition to being an artist, Lipi also founded the Britto Arts Trust in 2002 with her husband Mahbubur Rahman. The organization is dedicated to creating opportunities for other Bangladeshi artists through exhibitions, residencies, and educational activities. Her solo exhibition This is What I Look(ed) Like with Sundaram Tagore Gallery in New York will present several new razor blade sculptures in addition to photography and video works. The show opens on May 2, and runs through June 1, 2019. You can see more of Lipi’s razor blade sculptures, in addition to her collection of safety pin sculptures, on Sundaram Tagore Gallery’s website. Paco Pomet (previously) combines chilling social commentary with humorous juxtapositions of past, present, and future in his satirical paintings. All-new works from 2018 and 2019 include meditations on melting glaciers, differences of opinion in frontier settings, and the symbolism of setting suns. The Spanish artist often combines greyscale and full color within a single painting to draw the viewer’s attention to specific details, like a car driving toward a bubblegum pink slime-slide, and two settlers in neighboring buildings enveloped by different-hued auras. Pomet’s latest solo show, “No Places”, opens April 4 at Galleri Benoni in Copenhagen, Denmark, and runs through May 10, 2019. You can see more from Pomet on Instagram, and if you enjoy his work, also check out Toni Hamel. 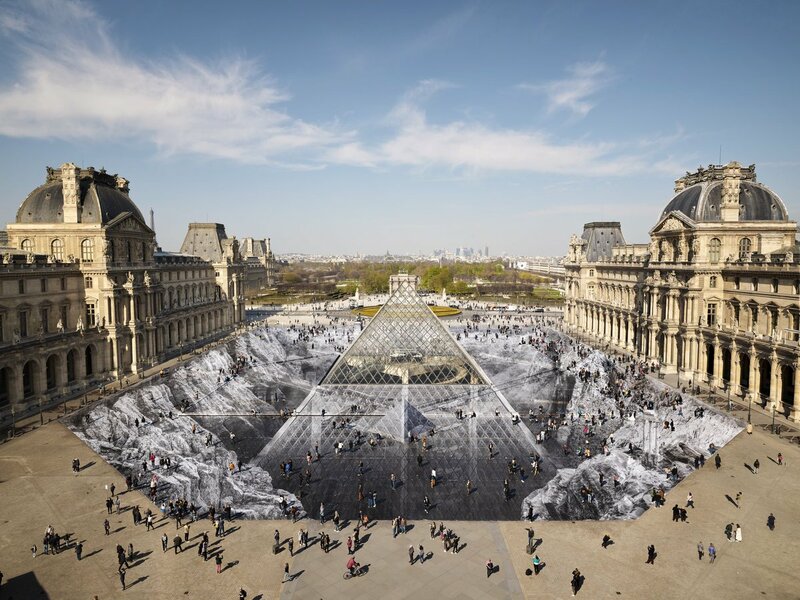 With the help of a small army of 400 volunteers, French artist JR (previously) pasted thousands of strips of paper around the Louvre in Paris, turning the courtyard around the museum into a massive optical illusion. 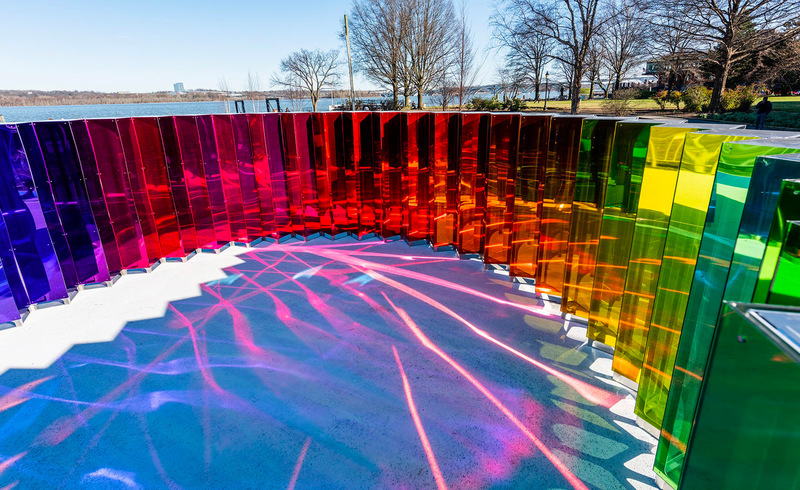 Installed in honor of the structure’s 30th anniversary, the collage titled “The Secret of the Great Pyramid” provides a glimpse at what may lie beneath the iconic glass pyramid.